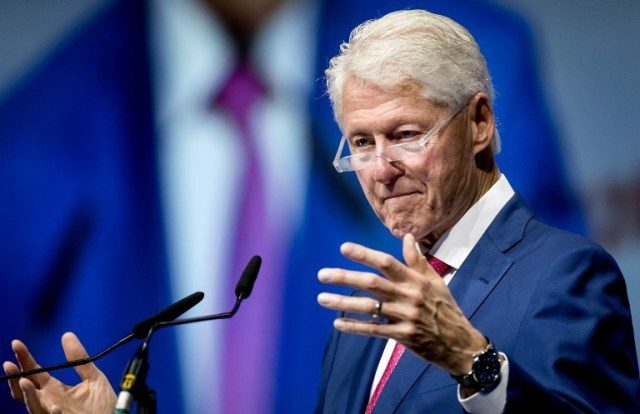 Bill Clinton pleaded with the world Friday not to prematurely abandon the campaign to rein in the HIV virus, which still kills nearly a million people every year and infects twice as many. “There can be no Brexit in the fight against AIDS,” the former US president told the 22nd International AIDS Conference in Amsterdam. “Through a combination of complacency in some places, and outright hostility to global multinational cooperative efforts in others, there is a serious risk that many people will say: ‘Let’s quit doing this’,” Clinton, a longtime anti-AIDS campaigner, told delegates. Clinton cited UN data showing that 1.8 million people were newly infected in 2017 with the immune system-wrecking virus that causes AIDS. The year saw 940,000 deaths. Among 36.9 million people estimated to be living with HIV last year, 15.2 million had no access to life-saving virus-suppressing therapy. “Approximately 35 people will die while I’m up here talking,” said Clinton. Decades of research have yet to yield a cure or vaccine for HIV, which has infected almost 80 million people and killed 35.4 million since the early 1980s. “I am pleading with you,” Clinton told the final day of the gathering of some 15,000 researchers, activists, and people living with HIV. Easing up on the battle, he said, could have “calamitous” consequences. It is “almost certain” that an HIV vaccine and cure for AIDS is in the offing, said the ex-president.